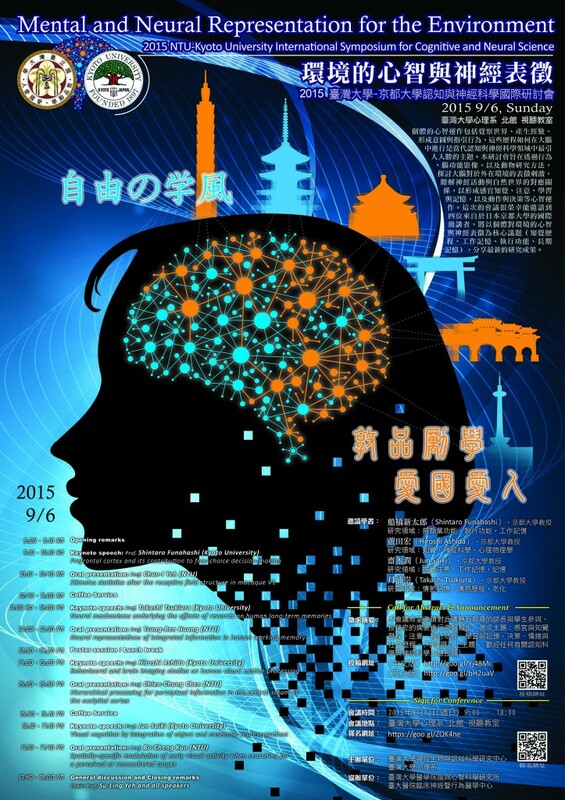 The Graduate Institute of Brain and Mind Sciences (GIBMS), College of Medicine, National Taiwan University, Taipei, Taiwan invites applications for several immediately available faculty positions specialized in molecular and cellular neurobiology, systems neuroscience, cognitive science, computational neuroscience, or clinical neuroscience. Candidates with excellent track records in fields related to brain and mind sciences are all welcome to apply. Candidates should hold a Ph.D., M.D./Ph.D., or Sc.D. degree with at least 1-year postdoctoral experience and have demonstrated achievement in their fields. The successful candidate will be expected to develop a dynamic and collaborative research and teaching program in the well-equipped institute. 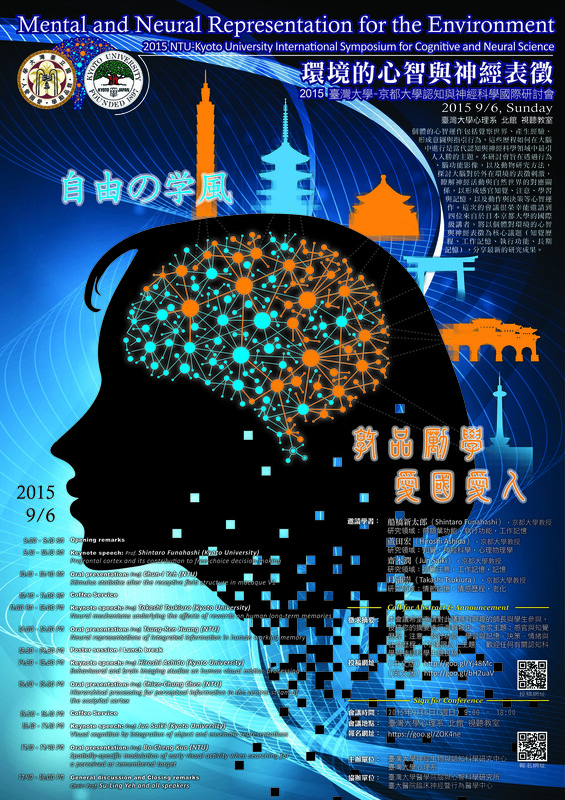 A description of current and future research and teaching interests. Three recommendation letters should be sent directly from the referees by e-mail (lcchiou@ntu.edu.tw) or post addressed to the chair of GIBMS search committee, Prof. Lih-Chu Chiou. Application forms must arrive by 4th November 2015, 5 pm. 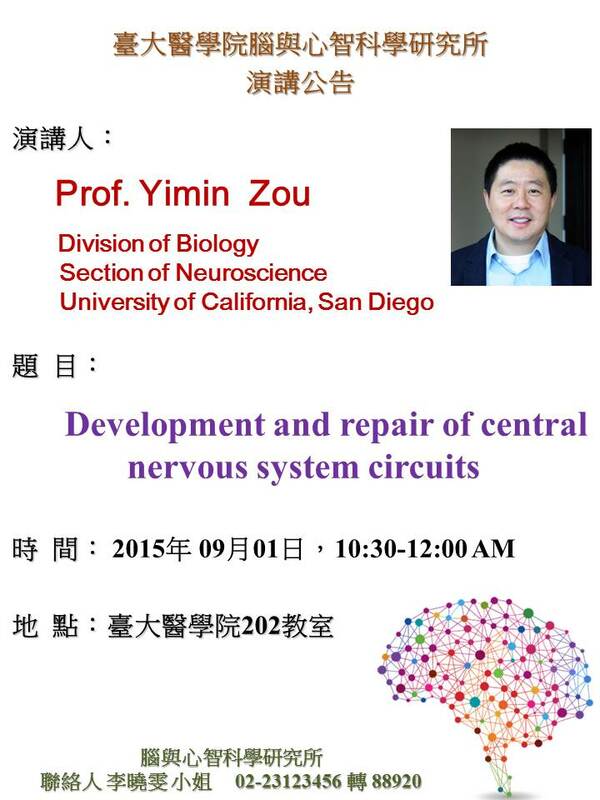 2015.9.1(二)專題演講"Development and repair of central nervous system circuits"